50% off one of the best roasts in Angel, Islington, London and perhaps the whole of Britain on Sunday 7th April to celebrate the launch of our new kitchen pop up from the award winning Cut & Grind Burgers! 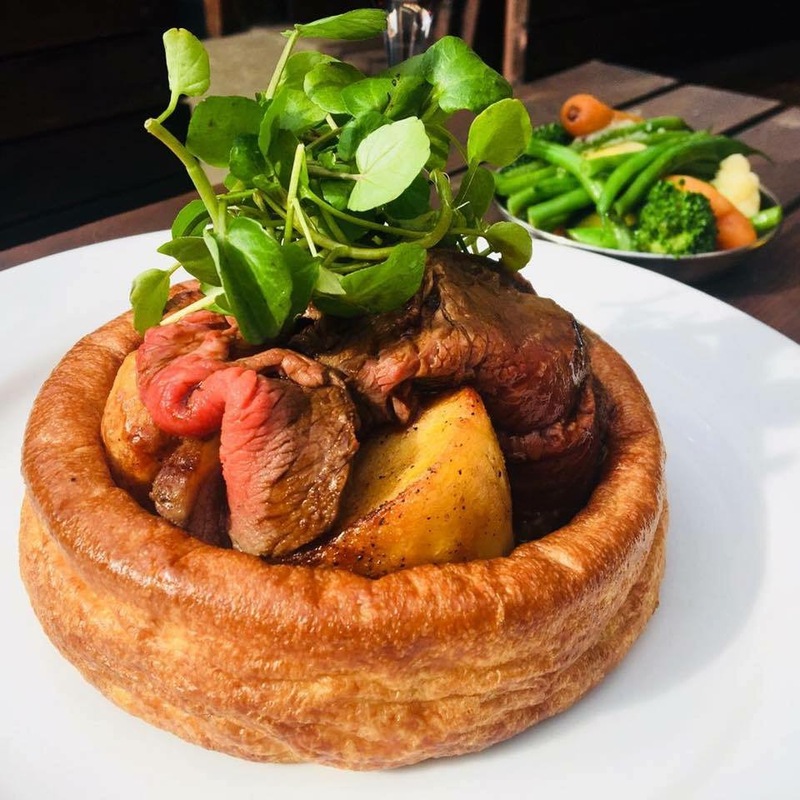 Your choice of 35-day aged beef, pork belly or vegan bangers served in a giant Yorkshire pudding with all the trimmings for 50% off the menu price of £14. Plus we’ll throw in a Bloody Mary, mimosa or soft drink for FREE! Named the 2018 Nation Burger Awards champions thanks to their attention to detail, flavour and freshness when grinding their select Irish and British beef cuts at their King’s Cross restaurant, they’ll be bringing the same level of quality to their inimitable Sunday roasts. Booking is required and we’ll be having allotted seating at 1pm, 3pm and 5pm, with a tables needing to be turned over after 90 minutes. Please email bookings@thelexington.co.uk to make a reservation.